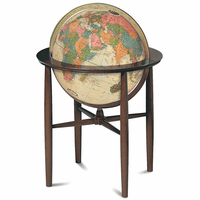 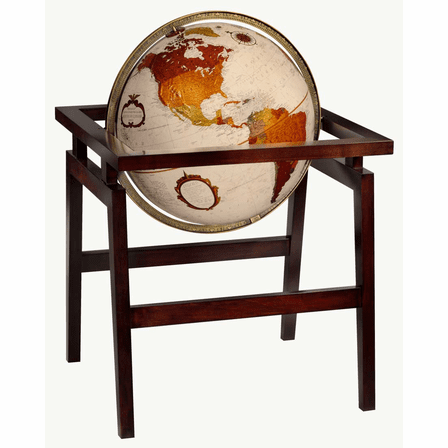 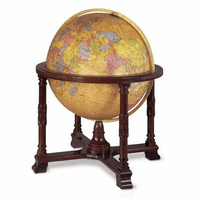 You will want the Madison floor globe to have a prominent place in your home or office! 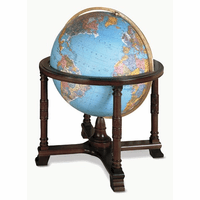 This dramatic 16' bronze metallic globe on antique parchment background features a variety of metallic shades to delineate countries, with detailed raised relief topography. 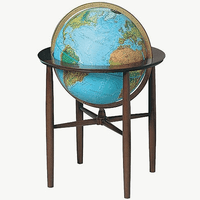 The stunning base has four legs and intricate wood design that surrounds the globe which is attached by a full die-cast meridian that allows it to spin freely. 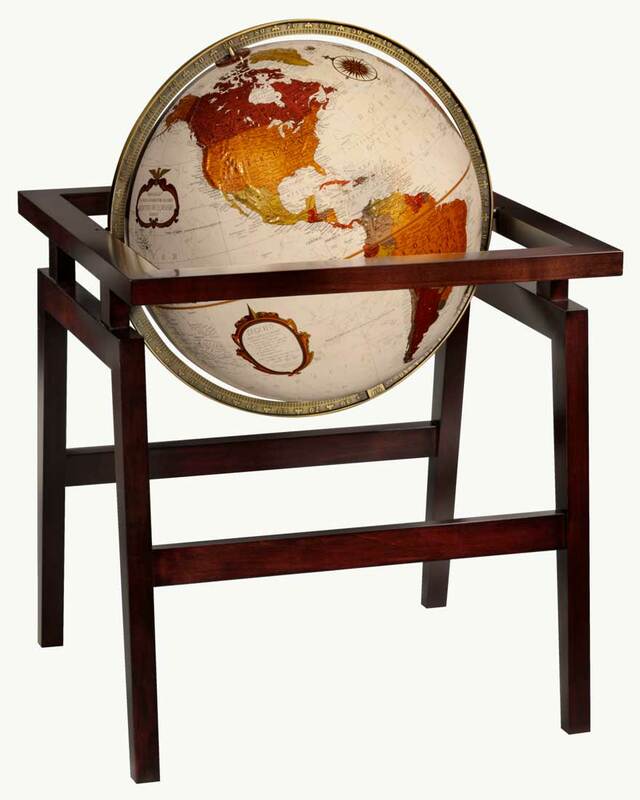 The total dimensions of this spectacular floor display are 21.5' x 21.5' x 31'.